Energy and electricity are mostly absent from Trump's big infrastructure plan. The Trump administration dropped a long-awaited $200 billion infrastructure plan yesterday -- the same day it released a proposed budget for 2019. 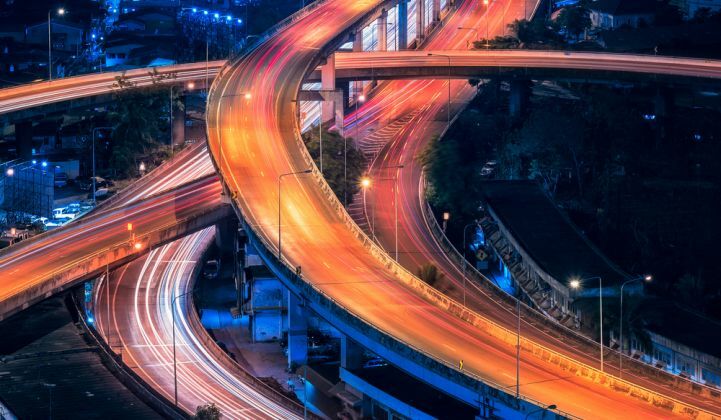 The infrastructure document is meant to push Congress toward legislation that would revitalize roads, transit systems and waterways, and “stimulate at least $1.5 trillion in new investment over the next 10 years,” mostly from private sources. Clean energy and environmental advocates, however, said the plan largely falls flat. Clean energy and electric-vehicle infrastructure projects can likely access only a portion of the money set out in the plan. It makes transmission projects in rural areas eligible for a portion of the $50 billion Rural Infrastructure Program. It also proposes unloading federally owned transmission assets, including those controlled by Tennessee Valley Authority and the Bonneville Power Authority. Energy programs could be eligible for the $20 billion Transformative Projects Program, which offers money for “bold, innovative” projects that may not be a magnet for risk-averse private investors. Another $20 billion apportioned to broadening credit programs and expanding private activity bonds may also offer energy efficiency returns, if indirectly. The guidelines also loosen restrictions on permitting, in efforts to streamline construction. Trump’s released document mentions electricity and energy just a few times, but it could still have lasting ramifications for the clean energy industry. The administration geared most of the plan’s investment toward traditional infrastructure improvements, such as bridges, highways and roads. The plan also opens up some infrastructure funds for environmental remediation through the Superfund program and offers benefits for hydroelectric power. But other clean energy projects, and the transmission and distribution expansions that might support them, were mostly absent. “Any infrastructure plan really ought to incorporate an important role for energy and renewable energy infrastructure,” said Todd Foley, senior vice president of policy and government affairs at the American Council on Renewable Energy. Foley added that because clean energy accounts for so much private capital, it doesn’t make economic sense to leave it out of a plan so heavily reliant on that money. UCS' Cowin said the absence of energy is “hugely problematic.” According to him, a modern plan would consider the distributed generation and clean technologies -- such as microgrids, battery storage, electric-vehicle charging and rural-to-urban transmission systems that ferry electrons from main areas of production to central areas of consumption -- that are becoming integral to the energy landscape. In parts of the plan that do consider energy or related infrastructure, UCS President Ken Kimmell said the investments will leave the U.S. behind in the rapid changes taking place in technology. “This is a plan to shore up the infrastructure of the past, rather than invest in what we need for the future, such as transmission lines that connect the country’s plentiful wind and solar energy to the population centers where it’s needed; a modern electric grid to accommodate more renewables; and energy storage projects to set us up for a wide-scale rollout of this technology,” said Kimmell. The Alliance to Save Energy also says that the infrastructure plan offers positive aspects -- like its widened eligibility for private activity bonds -- that may encourage investment in the grid and increase energy efficiency. But the group warned about the consequences of not factoring efficiency into long-term planning. Grant Carlisle, advocacy director of the national business group Environmental Entrepreneurs, characterized the shortcomings bluntly. “It is unfortunately just not a forward-looking document,” he said. If the forthcoming plan from Congress seeks to consider energy more comprehensively, the industry is ready with plenty of suggestions. A 2017 report from PricewaterhouseCoopers and the Global Infrastructure Investor Association found that renewable energy investment accounted for nearly a quarter of U.S. investment according in 2016, second only to transport. Eighty-seven percent of total investment came from a corporation, investment firm or infrastructure fund. American Council on Renewable Energy's Foley said incorporating renewables into an infrastructure plan would boost interest among private investors, which already constitute a large part of the funding in Trump’s plan. Foley cited expanding master limited partnerships as a potential way to reduce the cost of capital for renewables. MLPs have benefited the oil and gas sectors, but renewables are currently ineligible to take advantage. According to Keith Martin, a lawyer at Norton Rose Fulbright with expertise in tax and project finance, private activity bonds are also unavailable to the renewable energy market. The Trump administration’s plan wouldn’t allow energy projects, aside from hydroelectric power, to benefit from broadened eligibility. The Alliance to Save Energy offered other examples where investments could be leveraged. “Congress should include requirements to build to updated energy codes and include high-efficiency equipment. And Congress should expand opportunities for public-private partnerships, including performance contracting, which leverages savings from improved efficiency to finance infrastructure projects,” Callahan added. According to several sources, the plan’s emphasis on private investment also leaves local and state governments with a great deal of responsibility and little money to support it. The Rural Infrastructure Program relies on state partnerships with local governments and private investors. The private activity bond expansion also allows more privately funded projects to take advantage of tax exemption. “Any move to allow more private projects into the tax-exempt bond market will increase borrowing costs for schools, roads, hospitals and other public facilities that borrow in that market,” said Martin. Resilience is also missing from the infrastructure plan, as is climate change. “Here are some words that don’t appear anywhere in the document: 'climate change,’ ‘renewable energy,’ ‘modern electric grid,’ ‘resilience’ and ‘adaptation,’” said Kimmell. According to Cowin, infrastructure planning needs to include new mapping tools to assess climate risk and vulnerability. These tools are particularly important for communities near coastlines or in floodplains that may need to contribute more local dollars under this type of plan. “There’s a huge financial investment that’s at stake,” he added.